Thanks to today’s technological advancements, art is being created and circulated for billions of people around the world to view faster than ever before; however, this can actually make it harder for some artists and their works to receive exposure. Even art on display in the top museums in the world might not be getting the attention it deserves due to the density of art resources available to the average person. Here are some underappreciated art works that deserve a little more love! 1. 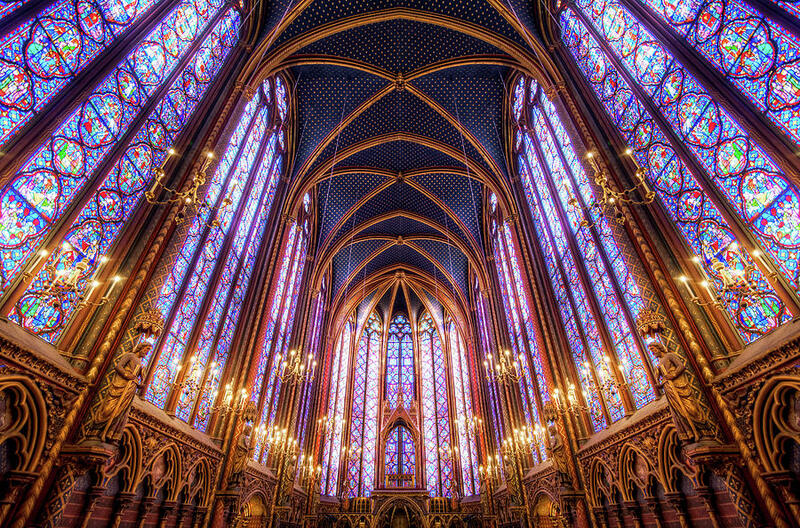 Sainte-Chapelle, built under King Louis IX in 1248, Paris, France. This beautiful gothic-style chapel was commissioned by King Louis IX to hold his collection of relics and was, at one time, connected to his royal estate. Located only a few blocks away from the famous Notre-Dame Cathedral in Paris, this church often goes unnoticed by tourists and even locals. The crowds here are almost non-existent when compared to those at the Notre-Dame, but in my opinion, the view at Sainte-Chapelle is even more breathtaking. If you enter the chapel just as the sun is setting, the stain glass comes to life and fills the entire space with light. I would highly recommend visiting this stunning work of art. 2. Dancing at the Louvre, Faith Ringgold, 1991. Faith Ringgold is an African-American woman who has consistently created artworks with the purpose of expressing the richness of her culture and questioning the status-quo. In this piece, Ringgold criticizes traditional women’s roles, elitism and the definition of art, all at the same time! This piece tells the story of an African-American woman who has moved to Paris to achieve her dream of becoming an artist. The scene shows the woman and her family dancing around the Louvre, a very high-class museum. The carefree attitude of the girls juxtaposed against the aristocratic background questions the exclusivity of museums while celebrating the success of young African-Americans in society. 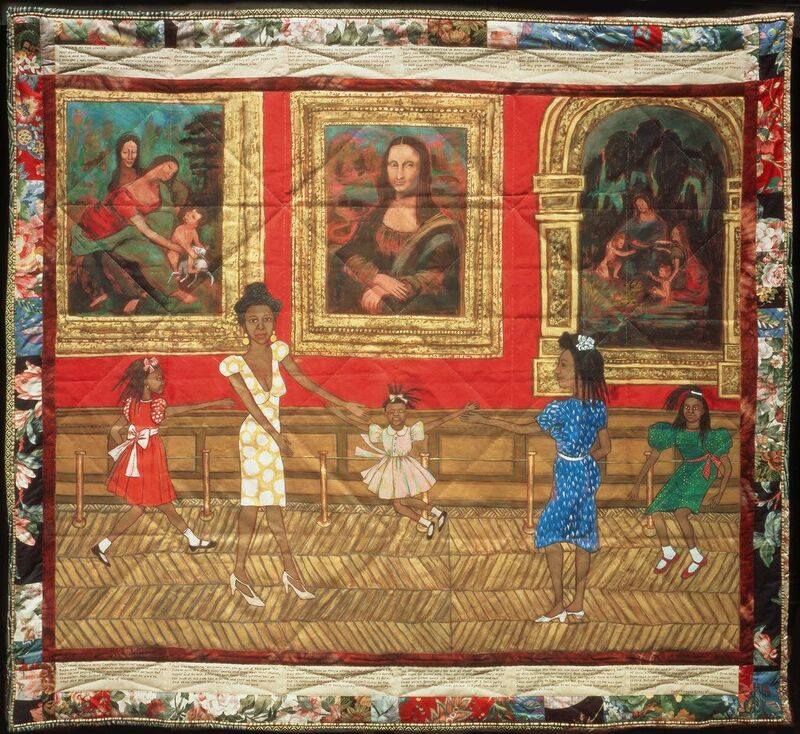 Ringgold’s use of quilting and craft techniques, as opposed to the more widely accepted traditional oil paintings, also serves to elevate the traditional folk-art mediums to align with those typically seen within fine art. Ringgold is able to make a powerful statement in just this single work of art, and I think more people should be celebrating it! Although Monet himself is definitely not underrated, most people are unfamiliar with what I believe to be one of his most impressive series: Rouen Cathedral. Monet spent a year visiting the Rouen Cathedral in France during various parts of the day and throughout all four seasons. He wanted to accurately depict the cathedral in all lighting and during all types of weather. Even more fascinating, Monet uses a lot of paint on each of these canvases which actually cause the paintings to appear abstract if you view them up close. Only when you view these paintings from a distance can you actually tell it is a painting of a cathedral. For the amount of time and effort Monet spent perfecting these paintings, I don’t think this series gets nearly the amount of attention that it should! The next three works on this list are a part of the 57th Carnegie International that is taking place right now at the Carnegie Museum of Art in Pittsburgh until March 25th! Be sure to check these really cool works of art out before the International exhibition ends! This insanely cool installation and video created by Alex de Corte is one of my favorite installation artworks that I have ever seen. When you enter the room, the colorful lighting makes you feel like you’ve just entered a different realm. There is a miniature house made of neon tubing, and when you enter inside it, there is a three hour-long video playing. Alex de Corte himself is the star of the videos, and he recreates scenes as popular cartoons and figures recognized by children. In this photo above, he is dressed up as Mr. Rogers! Contrary to what you might think, the whole experience is slightly creepy. This work is really meant to emphasize the loss of innocence and imagination we experience as we become adults. If you enter this space and watch the video alongside a young kid, chances are they are going to love it; you on the other hand, might find it a bit out of the ordinary. Regardless, this is a really cool work that everyone should check out while they still have the chance! This large installation artwork is currently on display in the Hall of Sculpture in the Carnegie Museum of Art as a part of the 57th International exhibition. The three main components of the work are steel, glass, and coal. These just so happen to be the three main industries of Pittsburgh. This work is a comment on the rich industrial background that exists in Pittsburgh and it’s a really cool piece to take a look at. Even cooler: every Thursday through Sunday from 1:00 to 1:30 p.m., a local jazz musician comes into the space and performs a jazz improvisation based on the work. 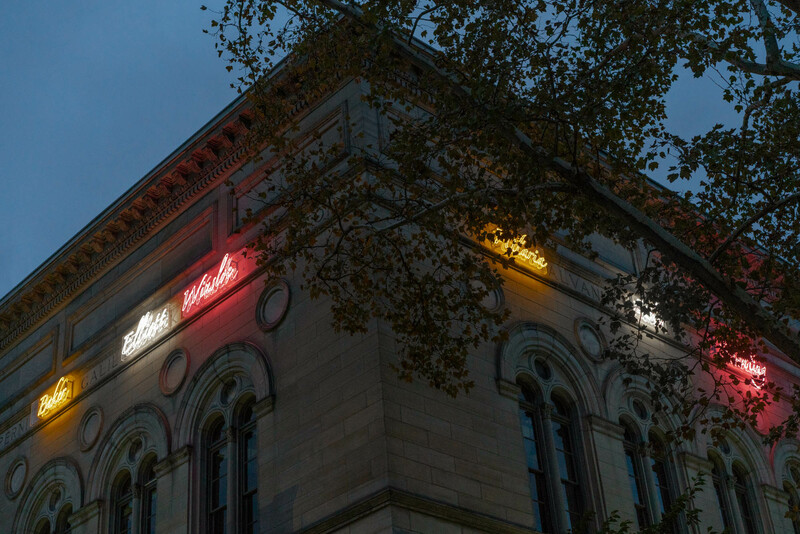 If you’ve walked by the edge of Pitt’s campus there is a good chance you’ve seen these neon signs around the border of the Carnegie Museum. When the museum was originally built, the names of powerful and successful people from history were engraved into the side of the building. However, the only individuals named are white males. As a part of the Carnegie International, Strachan decided he wanted to celebrate the accomplishments of women and people of color. He decided to create neon tubing of the names of famous figures in history, from jazz musicians to civil rights activists, who were diverse and deserved recognition. There are so many beautiful and meaningful works of art all around us! Take some time to admire them! Hi, I'm Olivia! I'm a freshman at the University of Pittsburgh double-majoring in Neuroscience and Spanish! In my free time you can find me playing one of my instruments, hanging out with my friends or binge-watching a new Netflix series!